Admob Impression are nil while a lot of ad requests, why? I have an application I made using android studio. As of the moment, the admob ids are defined in the strings.xml file. 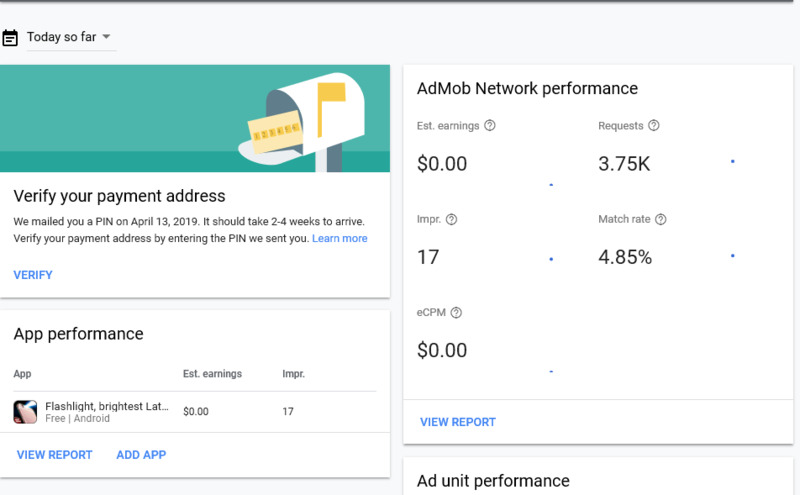 However, I want to make the app get the admob ids from either my server or from firebase as I want to be able to change them remotely should any problems occur. How would I go about doing this? You can do it programmatically. Where context is your Context. 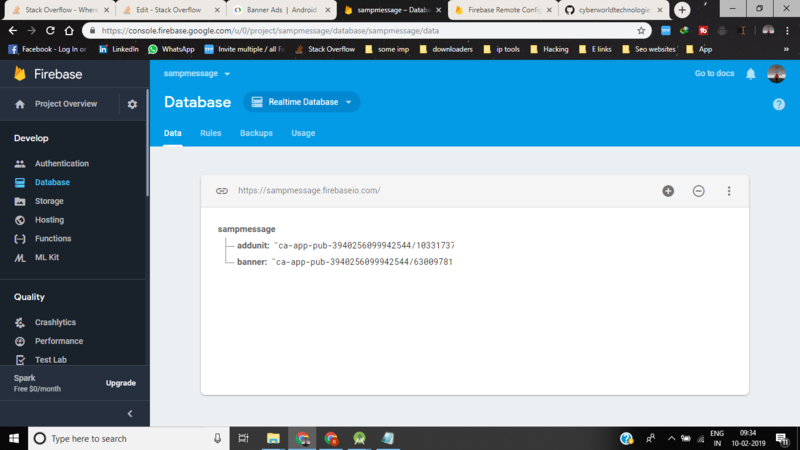 There is a new API that allows you to manage Firebase projects and get configuration data from them. This would be the most logical place to look up such configuration data programmatically. I checked the projects.get and projects.getAdminConfig, but haven't been able to find the ID you're looking for yet. If that ID is indeed missing, it might be worth it to file a feature request. Admin and User are two functional components with routes. WithAccess contains an onAuthStateChanged listener. Inside the listener I'm checking the role of the user (I'm setting a custom claim 'role' when the user is created). If this matches the prop 'role' that was passed down, isLoading is set to false and the component will render. Otherwise the user gets redirected back to the login page. This is working. However when I switch from an admin account to an user account or visa versa, WithAccess is passing down the previous role. To clear things up I remade the login/register part in a code sandbox: link to code sandbox. I'm trying to understand why WithAccess is passing down the previous role when switching from account type but couldn't figured it out yet. I am hoping to wait until the promise is resolved and i see the download url. But my code does not seems to wait and i get the downloadUrl undefined and after few sec the download url actually shows up in service. So basically my code calling the pushUpload is not waiting for the download to finish. I would like to change the color of the "underline", the font and some other stuff like the icons in the SearchView that i have. I already changed the color of the font in the xml, but i couldnt find how to change the other stuff. Also i want to know if i can shut down the cursor that is blinking every time i open the app. Thanks in advance, i attached some photos. Error: Could not get unknown property 'COMPILE_SDK_VERSION' for object of type com.android.build.gradle.LibraryExtension. What do I need to do to get the app to run? So basically, I am attempting to make a GET request using volley and then parsing the JSON array that is returned. It works for a secure HTTPS url, however it isnt working for http. I am not sure how I go about getting this to work? Attached is the working code for https, however when i change it to http, it returns nothing. Already tried test ads, its working. I have a task to make a custom event for an AdMob Interstitial ad and to load something other into it. Everything is implemented by documentation, I set up all in AdMob dashboard, in my project to. In the class where I implemented CustomEventInterstitial method requestInterstitialAd is calling and that's ok, but method showInterstitial cannot be called and my custom ad cannot be shown. Instead of that AdMob shows some default interstitial. Does anybody have idea what can be the problem here? get test ads on this device. 2019-04-15 17:06:32.766 3160-17374/?